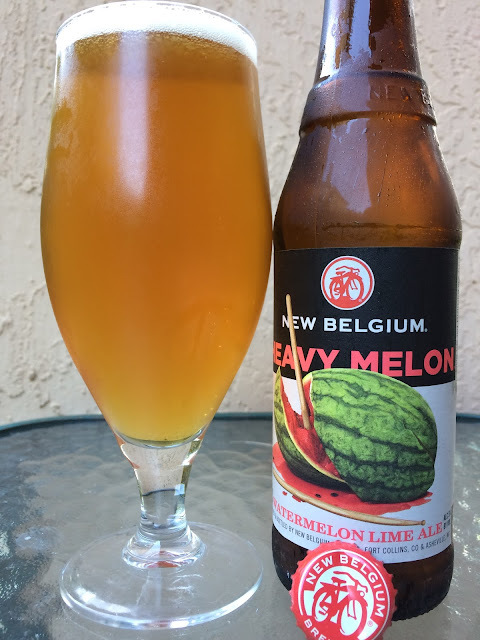 After 8 hours of baseball in brutal heat, I took a shower and grabbed a bottle of New Belgium's Heavy Melon Watermelon Lime Ale. 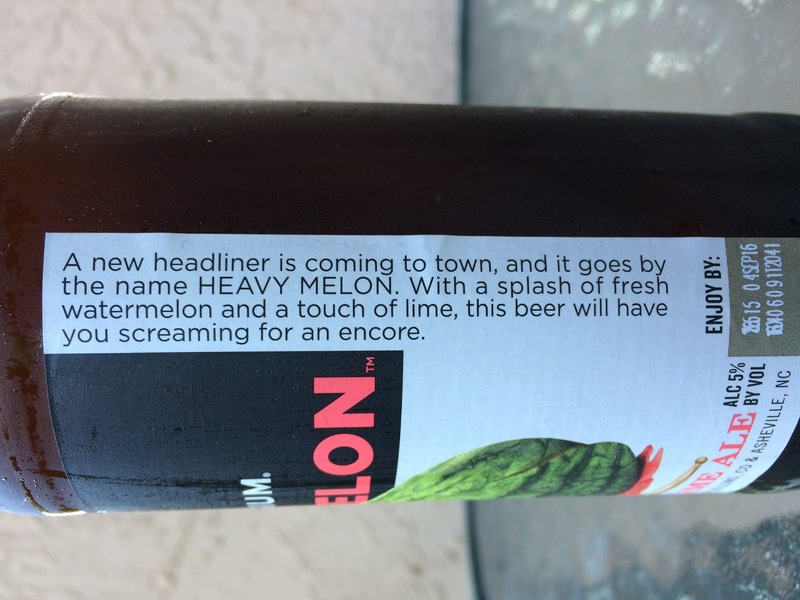 After all, their website says this beer "shreds through the summer heat." This is the brewery's newest seasonal. 5% alcohol. Generic yet nice fruity aroma. Fruity and juicy flavors as well. Again, a little generic, but OK, I can say watermelon since you told me so. However, you will not mistake the kick of lime, which is interesting with a refreshing contrast. Lightly sweet with that burst of citrus and enough hoppy balance. Definitely hit the refreshment channel. Not bad.